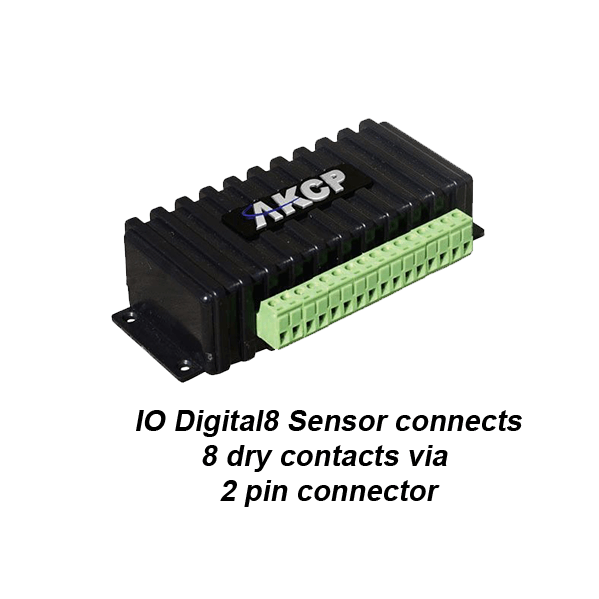 IO-Digital8 sensor with 8 ALARM/NORMAL indication. 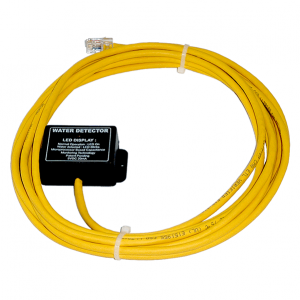 IO-Digital8 sensor with 8 ALARM/NORMAL indication in the AKCess Pro securityProbe 5E web interface. 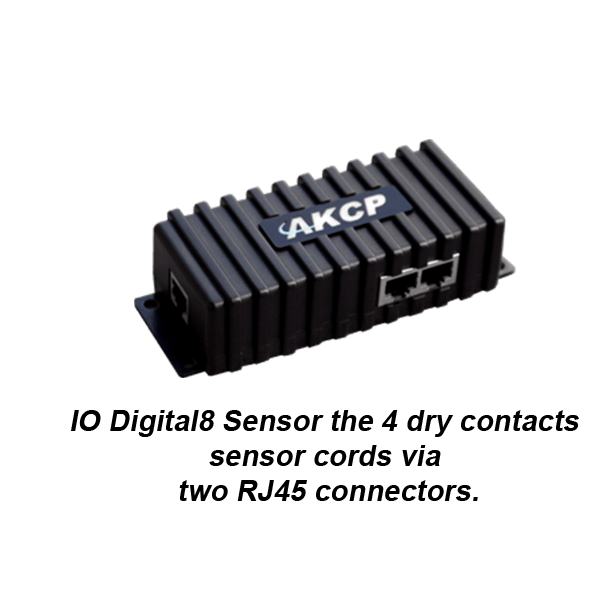 Can have 8 dry contacts on one Intelligent Sensor port. The main housing can be mounted on a wall and a standard CAT5 cable can be run to the intelligent sensor port on the securityProbe 5E. The first version has a single RJ45 connector at one end and 8 x 2 pin dry contact connectors along one side. 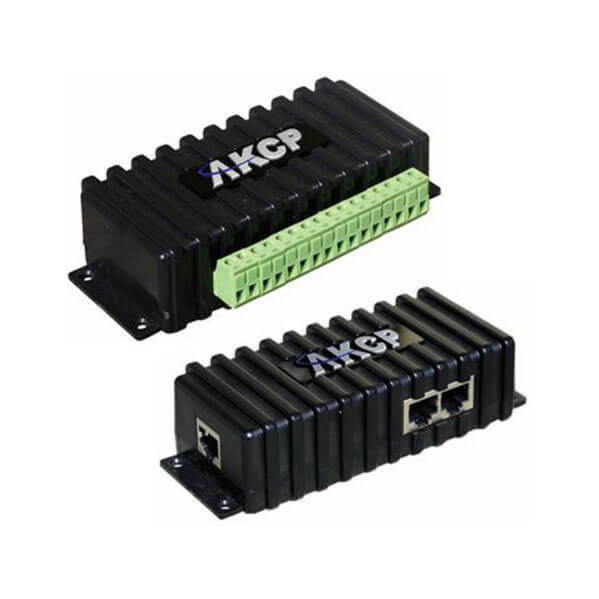 The second version also has a single RJ45 connector at one end but the 8 x 2 pin dry contact connectors are replaced by two RJ45 connectors, each compatible with 4 dry contacts.